Welcome to the new TUDOR United SportsCar Championship and Continental Tires Sports Car Challenge Fan Guide Page. 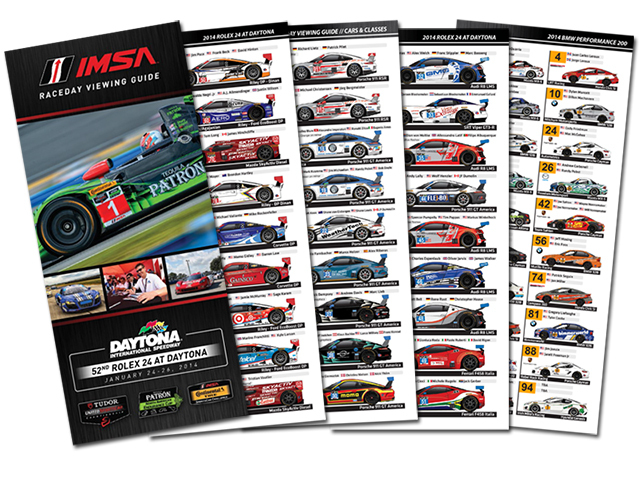 The guide is produced, race by race by IMSA and Andy Blackmore Design and is available in printed form at the circuit or the online version available HERE, and eventually IMSA.com will provide you with the latest liveries and entry list. 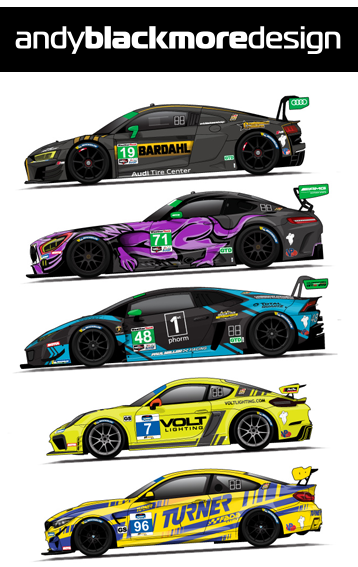 The guide also features a number of Andy’s latest liveries including the DeltaWing, GMG Audi and Turner Motorsports BMW Z4 in the TUSCC and the Bimmerworld and CJWilson entries in the CTSCC. It is a big download to ensure high resolution on each of the 16 pages. The online guide will be updated with any significant changes on the lead up to the Rolex 24.